One owner. Smoke and pet free. 2 new tires. In the pictures it shows 2 different rims on one side. One is the spare, it was on while we replaced the tire. the correct rim is now put back on. Everything is in good working order. The hot water tank was replaced. This is a clean unit. We had it professionally winterized and inspected every season. No problems were found at last inspection. We replaced the 2 rocking chairs with rocker recliners. They will stay with unit. Also, the TV in the bedroom can be left with the unit. 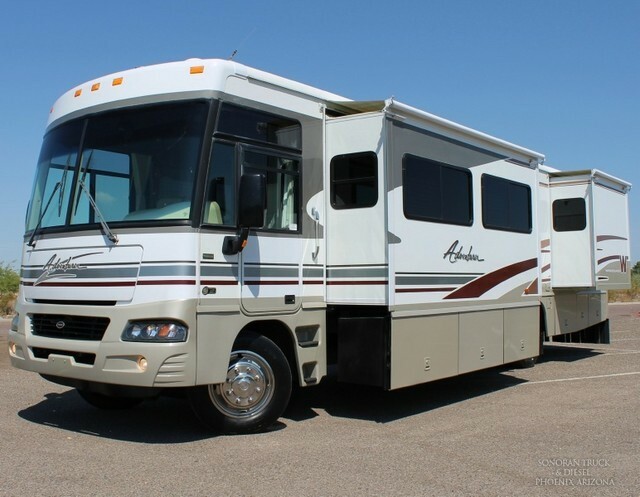 We enjoyed this RV very much but now, we are looking to get into a smaller one. Must see Motorhome! Only used 1 season. Lots of perks and updated features to make any trip enjoyable. Rear lounge. 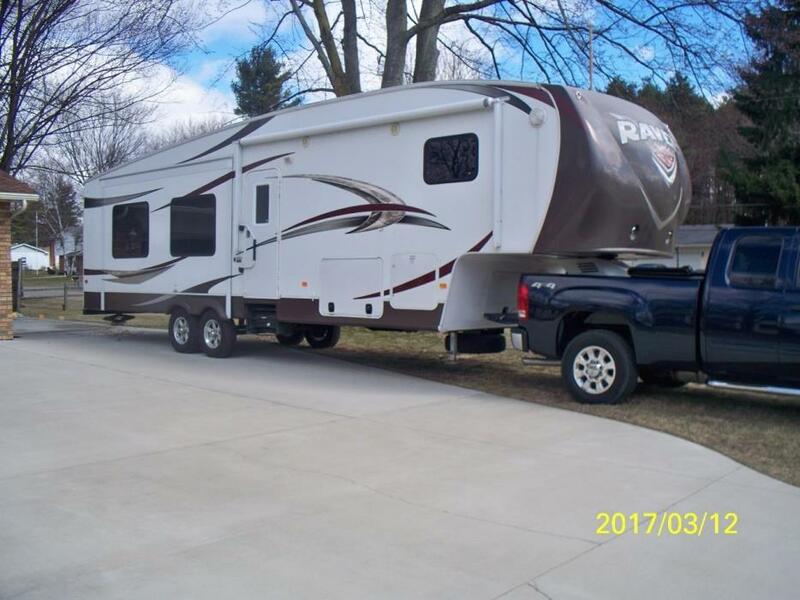 3 Slides, washer&dryer, convection microwave, 2 large flat screen tvs, dual control sleep number bed, automatic levelers, new Michelin tires in 2014, new invertor, new batteries, 7K generator, surround sound, remote control radio, drivers door entry. Will include NEW Blue Ox tow hitch and brake control worth $2000! Tons of storage underneath. Missing front lounge chair.